Place rack in center of oven and preheat to 350ºF. 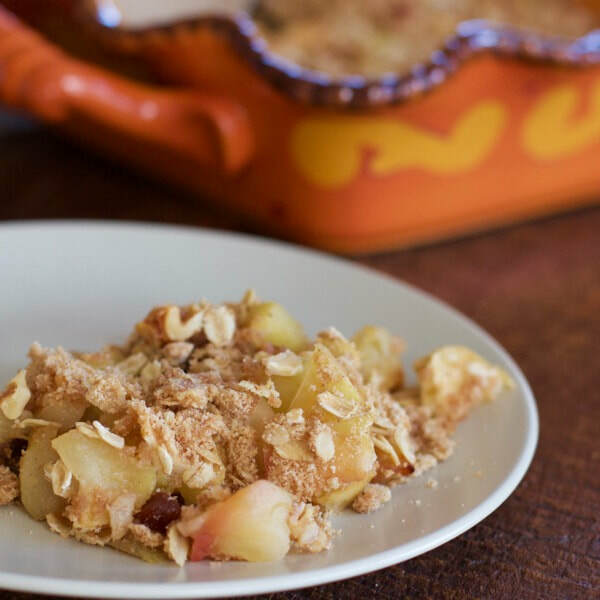 Place sliced apples, raisins, and lemon juice in 8x8 inch pan or baking dish. Toss. *Nutrition information includes pistachios for analysis.